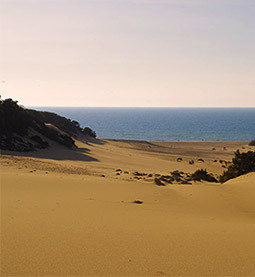 The B&B Il Quinto Moro is in Arbus, which is the geographic barycentre of 50 Km of coast, with easy access to many beaches, that represent some of the last wild corners in all Sardinia. Since 2002, Arbus is among 10 towns in all of Italy, awarded the Cinque Vele of Goletta Verde, the highest acknowledgement attributed by Legambiente (Italian Environmental League) to the Italian sea locations, for the quality of waters. Our home is ideally located, far enough from the crowds, yet close enough to the beaches. We are sure that the beauty of Costa Verde beaches will mark an unforgettable vacation. You will reach in a very short time all the beaches along the coast: Piscinas, Torre dei Corsari and Scivu... 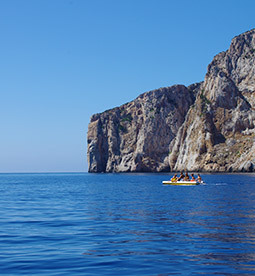 The Arbus Coast has some of Sardinia's finest vistas and while you're with us, you need to see them all!